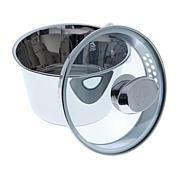 Make your cooking life a little easier without compromising results. 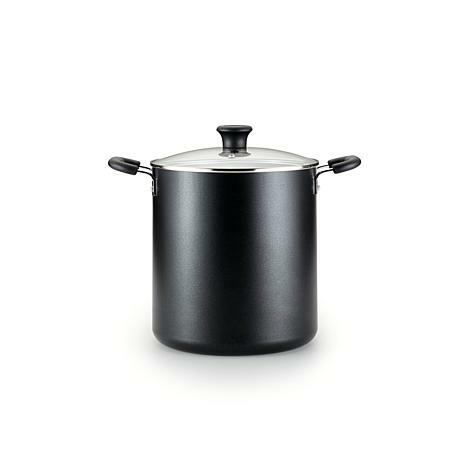 This non-stick interior stock pot provides even-based heat so you can conjure up 8 quarts of yumminess. The soft-touch handles allows for a secure grip, while the vented glass lid lets you and your loved ones peek inside without sacrificing any flavor. Easy to use, easy to clean, and of course, easy to love. This has been such a life saver whenever we have large get togethers, I can cook enough for our large extended family and still have leftovers. It has never given me a problem with sticking like my old one did. 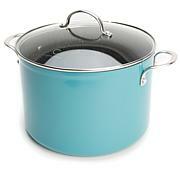 Bought the 12 quart and yes, its a big pot but so useful to cook large meals. Came just in time for Christmas! A real keeper and a good price to boot. No sticking and washes up like a dream. This was an excellent choice. I cook large meals so this is a great buy. Simply love it, I've used it for myself once and can't wait for the holidays. 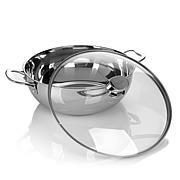 For healthy cooking that doesn’t compromise taste, T-fal’s innovative products do not disappoint. 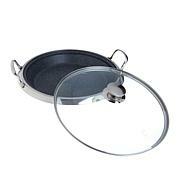 Patented design and technology elements - like slightly raised surfaces that channel away oil, and non-stick coatings that eliminate the need for oil - help you create delicious low-fat meals at home. T-fal - the perfect choice for today's health-conscious cook.